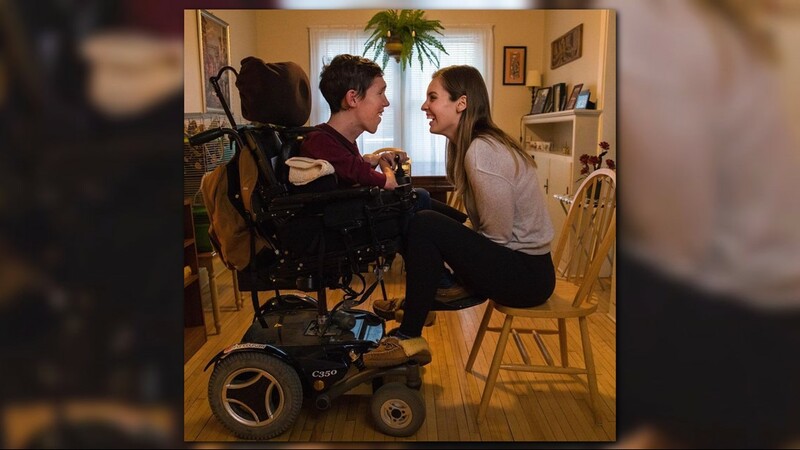 People often assume this man's girlfriend is his nurse because he uses a wheelchair. 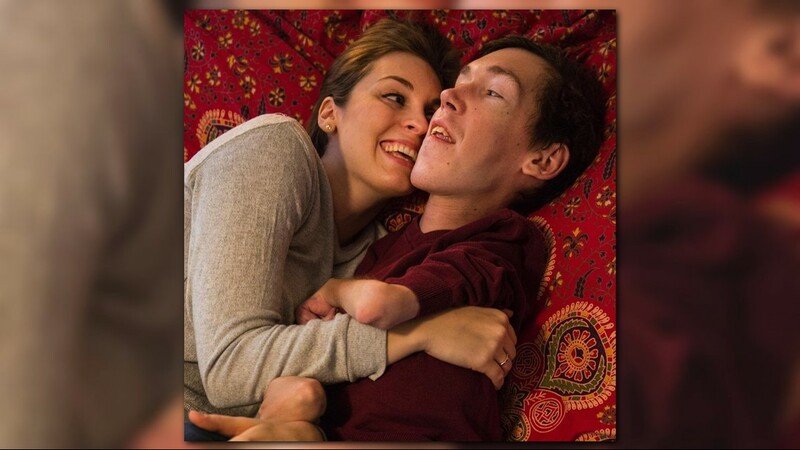 So together, the two started a YouTube channel to normalize interabled relationships like theirs. Sometimes, a night out for Shane Burcaw and Hannah Aylward can be awkward. After years of dating, the couple are perfectly comfortable around each other, but it’s other people who can turn a pleasant evening cringeworthy. 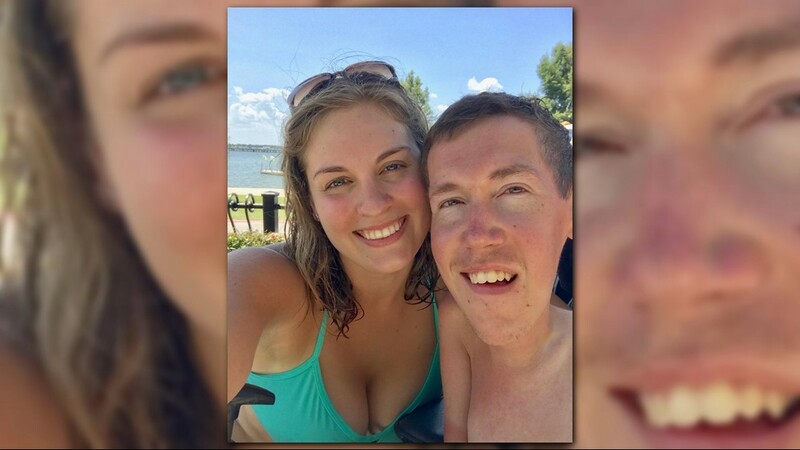 Most commonly, strangers will assume Hannah, 23, is her boyfriend’s nurse or mom. Sometimes, they’ll speak only to Hannah, ignoring Shane altogether, or even invite Shane, 26, to play with their young children. Once, in the early stages of their relationship, a stranger grabbed Shane and began praying for him loudly in the middle of a restaurant. “Which is all really romantic when we’re on a date together,” Shane joked. But the young couple takes it in stride and tries not to let the uncomfortable moments get in the way of their time together. 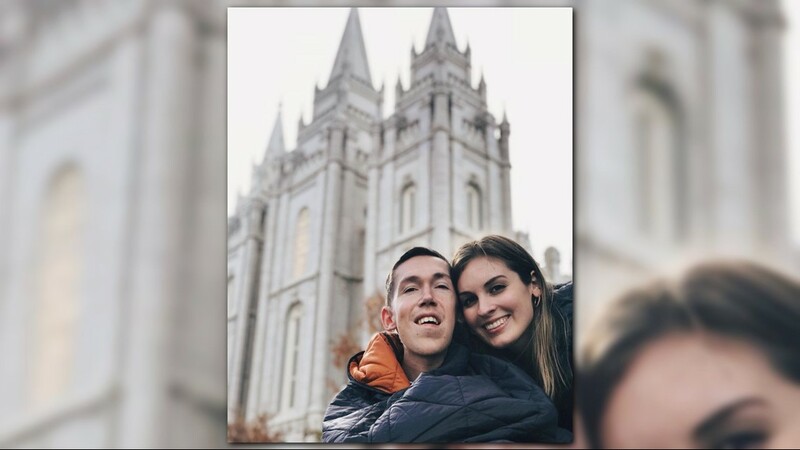 The comments and attitudes come “from a lack of experience and knowledge with disability,” Shane said. 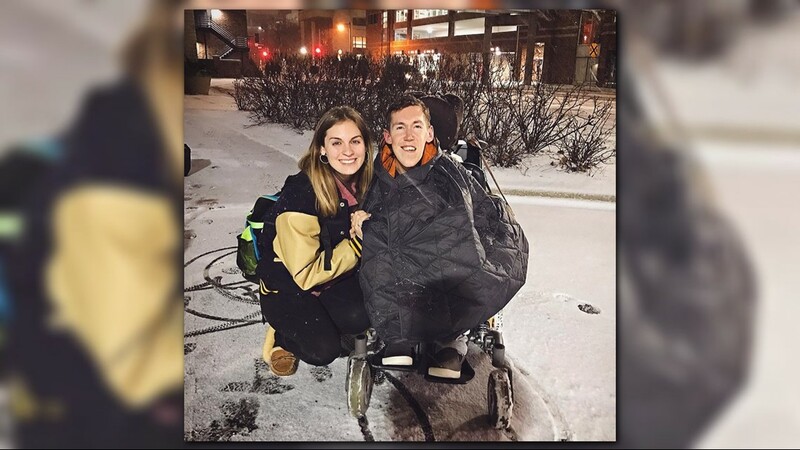 Many of the misconceptions about their relationships stem from the fact that Shane uses a wheelchair and Hannah doesn’t. Shane has a disease called Spinal Muscular Atrophy (SMA), a genetic condition that causes a person’s muscles to weaken over time. Because of SMA, Shane requires help with most physical requirements of daily life, like eating, showering and going to the bathroom. 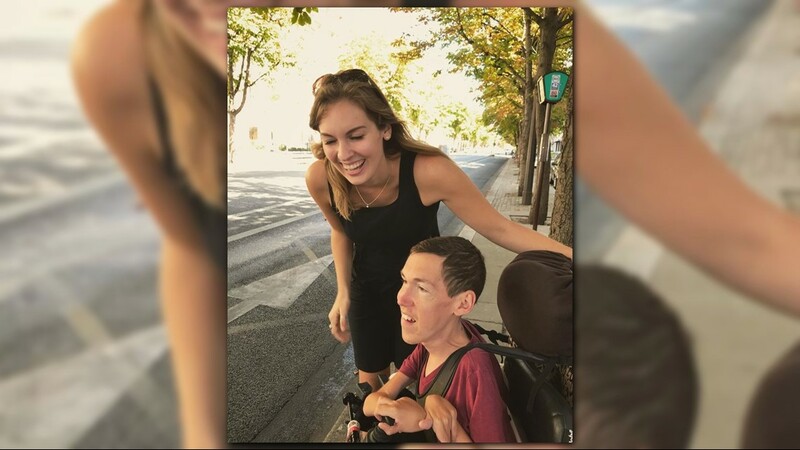 But thanks to the help of family members and caretakers like Hannah, he maintains his independence and has started his own non-profit and written three books. 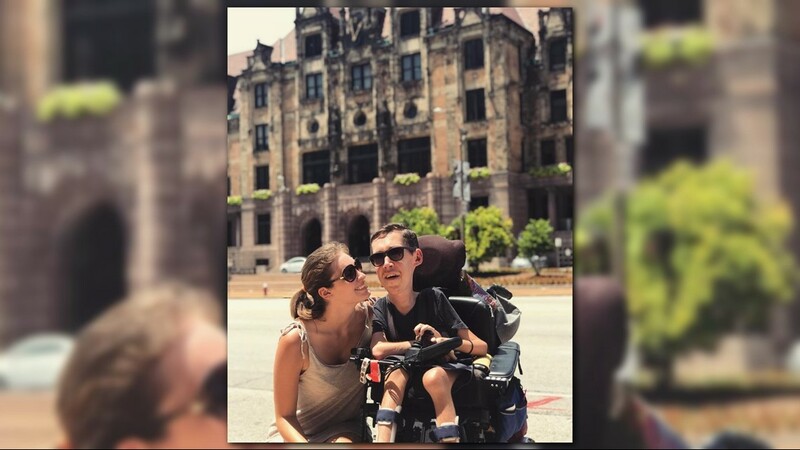 Early on, Shane understood his disease did not have a good prognosis and aspired to live his life to the fullest. 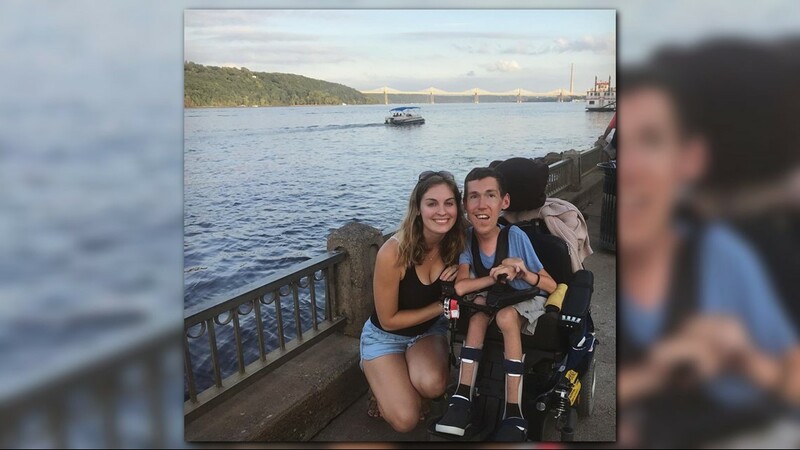 But in 2016, the Food and Drug Administration approved a medication called Spinraza, the first drug to treat SMA and halt the progression of muscle atrophy. 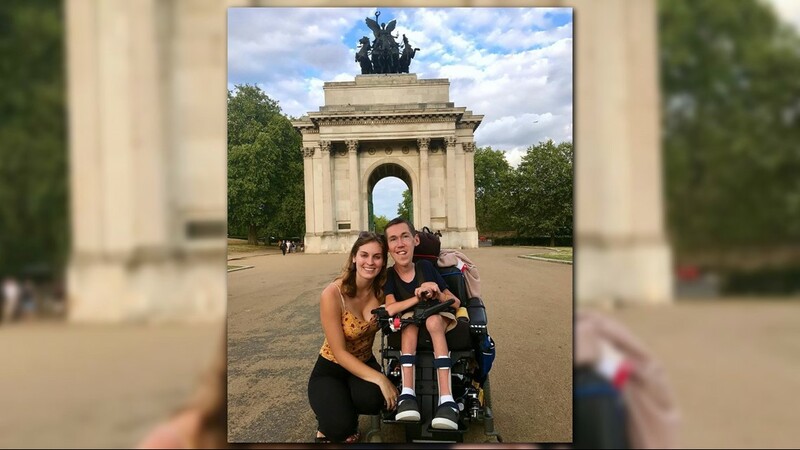 Shane started using Spinraza, a costly drug which is injected into his spinal cord every four months, in August 2017 and has already noticed some life-changing differences. For example, just over a year after starting treatment, he was able to lift a cup to drink for the first time in years. Because of his treatment, Shane now has a typical life expectancy. Shane, a native of Pennsylvania, was featured in a 2013 documentary called “My Last Day,” produced by actor Rainn Wilson. Hannah, who lived miles away in Minnesota, stumbled across the video on YouTube and was intrigued by the smart, wry young man. 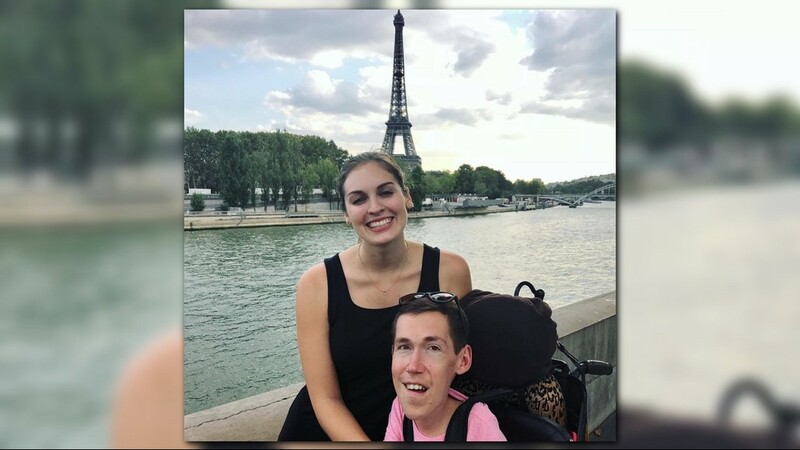 Hannah found Shane’s blog and learned they shared some common interests: they both liked to swim and travel and had a similar sense of humor. She sent him a short introductory email, “like a stalker” (as Shane would later note). Upon receipt, Shane was curious to know more and replied with his phone number. The two texted and FaceTimed until meeting in Pennsylvania for the first time in May 2016. Their relationship quickly blossomed. Hannah learned how to lift Shane and help him perform other daily tasks. 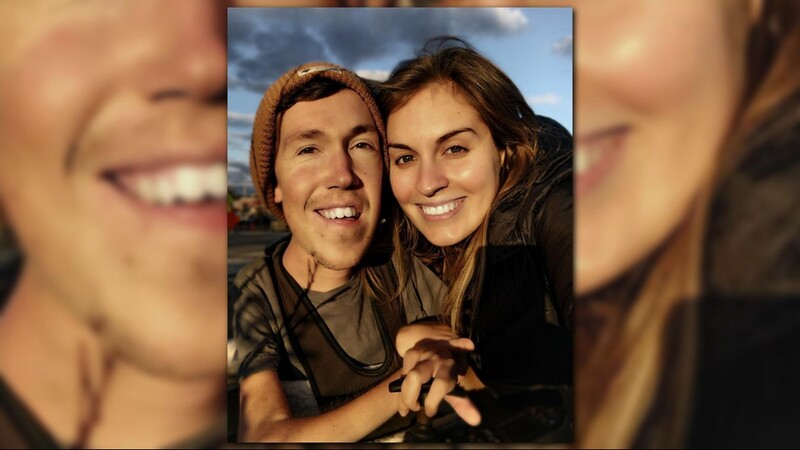 They went on dates and visited each other for two years until Shane decided to move across the country to live with Hannah, a student at Carleton College. Despite their love for one another, they continued to experience misunderstandings and judgmental opinions about their relationship. 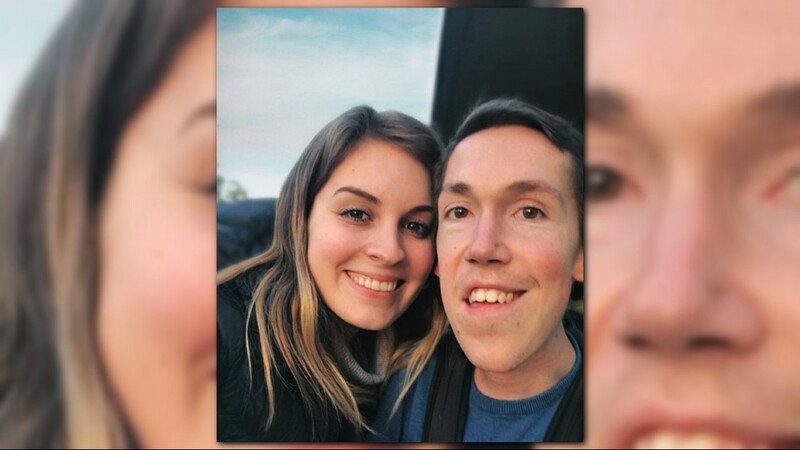 So in June 2018, they began a vlog about their daily life together to normalize dating with a disability. They named their YouTube channel Squirmy and Grubs after their nicknames for one another. 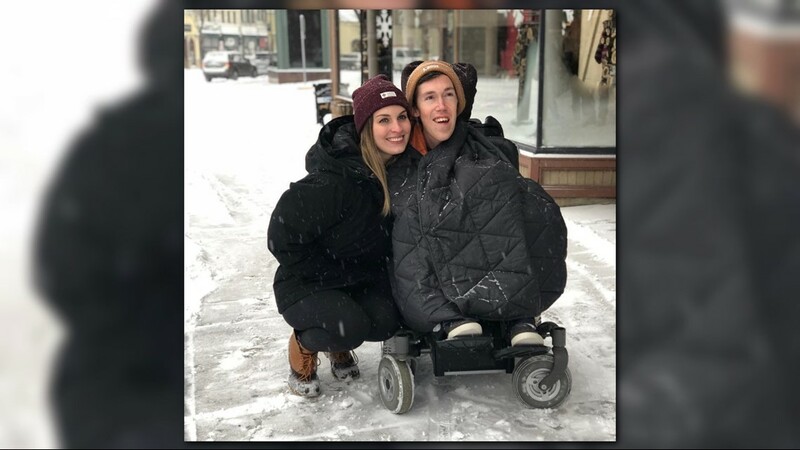 The couple’s videos range from lighthearted (Shane pulling Hannah on her longboard with his wheelchair) to heavy (will they be able to have kids). But one thing is constant throughout their episodes: they never take themselves too seriously. No matter what the topic, Shane and Hannah manage to insert their original brand of sardonic wit and good-natured teasing. “Humor really helps people who aren’t exposed to that kind of content normally feel more comfortable,” Hannah said. Today, their channel has grown to over 200,000 subscribers. They’re very open about their daily life as they tackle personal topics like how Shane uses the bathroom, accessibility, and other men flirting with Hannah in front of Shane. Though people continue to inappropriately question the legitimacy of their relationship, the vast majority of their videos are flooded with positive comments. 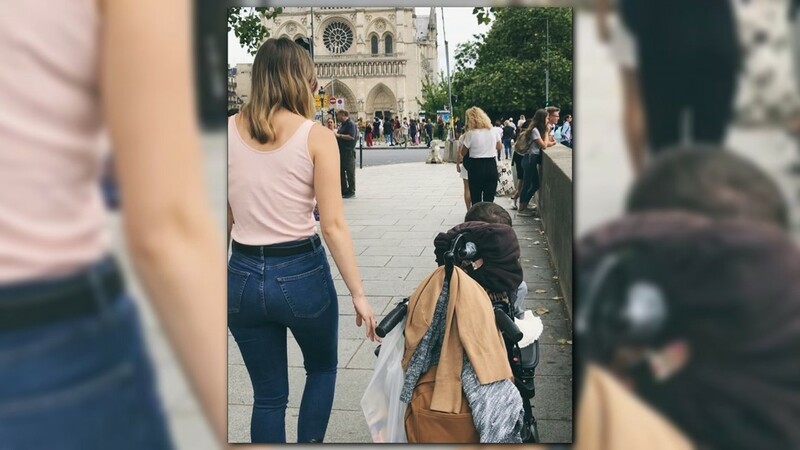 For many of their fans, their honesty about life with a disability is refreshing. “It is incredible how transparent these two are to allow us to see their lives. I have a better understanding on how to care for someone disabled,” one user wrote. “You guys are amazing and inspiring I never miss a video,” wrote another. “I think the response has been overwhelmingly positive,” Shane said. “And that’s been really gratifying for us to hear and see from people that we’re exposing them to something they may have never seen before and that they’re experiencing it in a really positive way,” he said. 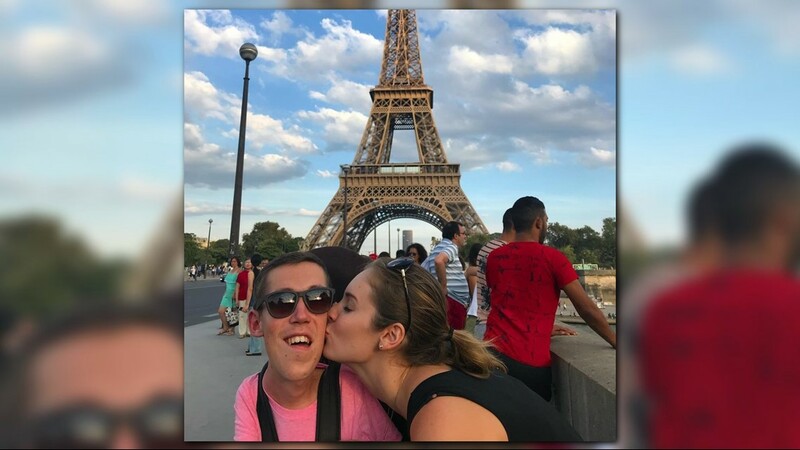 They hope by being open they can break stereotypes about interabled relationships and demonstrate that people of all abilities deserve love. 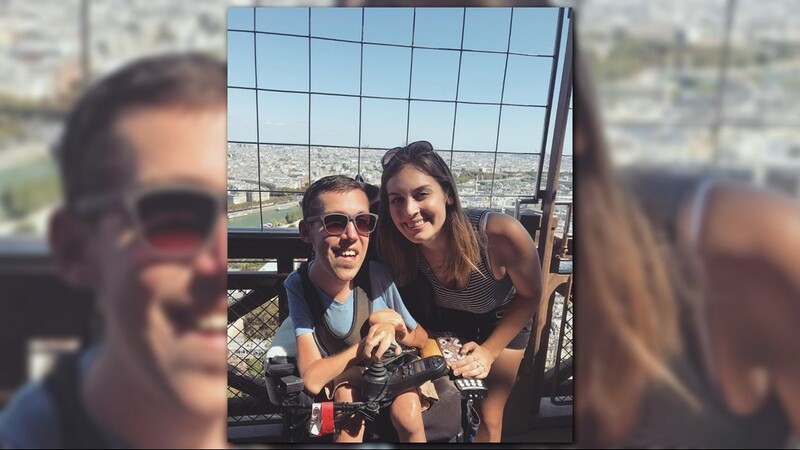 “The widespread belief about disability is that disability equals sadness and isolation… and that’s why we’re trying so hard to share our story and show people that people with disabilities live happy, awesome, amazing adult lives,” Shane said. 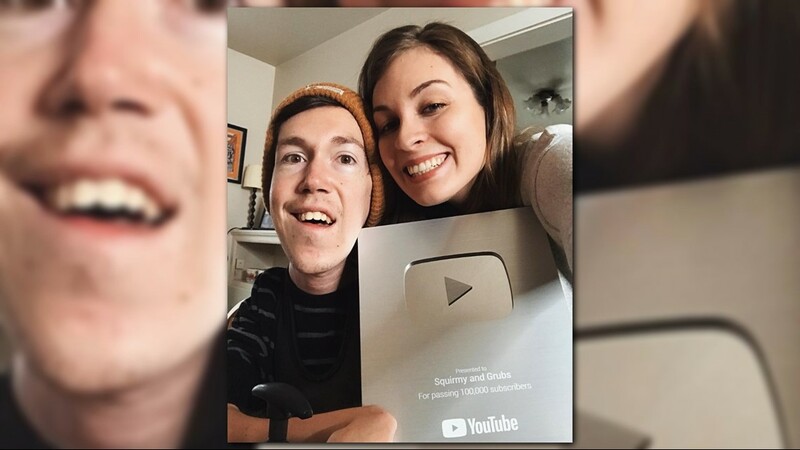 To watch or subscribe to Hannah and Shane's channel, click here. HeartThreads are the best stories about the best of us. Want more? Follow us!